darn it I forgot when the deadline was :(! *edit* wait, no, it's the negative effects caused by candy. Gecimen is just trying to trick us all with a cupcake pic! I just typed in the keyword "contest" and found that image, it's nothing specific. If it made too much confusion I'll change it to something generic. This time we need an all-over good working palette - the next topic can involve a lot of different environments in one collab. Or maybe, since the astroid icon has almost 200 colors, it is a hint that we should break the 16 color rule? Might try my hand at this. I've never participated in a 16 Color Contest, so I guess I'll have one heck of a time trying to make a unique, connected palette within a week if I decide to give it a try. Surely the theme would depend on the winning palette. 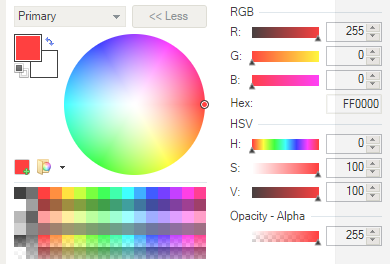 Edit: if your colours tab for some odd reason doesn't have the Hex value of each colour then you can convert your colour to hex by putting in the rgb values here. Excuse me, what exactly are hex values? @Mr.Beast. We reason that a known theme would sway y'alls into trying to envision the right colors to match the theme instead of focusing on palette development. This also serves to force the judges to have an open mind as palette quality, harmony and balance is key. DBs 16 color was born this way and everyone has used or played it because its of such quality and not because it was trying to fit into some box. No theme for the palette? I know that the previous palette contests didn't have a theme either, but I think it would really add to it and make the experience a bit more unique, especially since this isn't the first pallete contest. Yay! I'll make sure to enter!